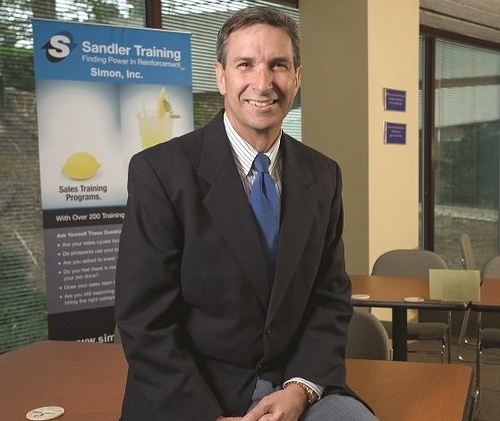 Sandler Training by Simon, Inc. Sales training & coaching, sales management training & coaching, customer service training & coaching. Simon, Inc. started September 10, 2001 and was named Sandler ''Rookie of The Year'' for calendar year 2002. With a training facility in Metro Atlanta's Peachtree Corners, Simon, Inc. specializes in training and coaching in the areas of sales, leadership, sales management, and customer service. Al Simon is President of Simon, Inc., a sales training, coaching, and business development consulting company based in the Atlanta area. Simon Inc. specializes in teaching business owners and sales professionals to be effective and consistent with their business development strategies, tactics, and attitudes. A 1977 graduate of Georgia Tech with a B.S. degree in Industrial Management, Mr. Simon has more than 35 years of direct sales experience; and he has also been exposed to many different sales strategies and approaches. Consistently the top performer in sales volume for his company before starting Simon, Inc., he has mastered the art of selling in both simple and complex sales cycles. Mr. Simon has also successfully managed salespeople in highly competitive, high-risk situations.